In the United States alone, roughly 300,000 children suffer from some form of arthritis or rheumatic disease, and millions more are at risk of developing one of these diseases. In this marvelously down-to-earth guide, Thomas Lehman–the head of one of the leading pediatric rheumatology programs in the world–offers a gold mine of expert advice invaluable for pediatricians who want to become more proficient in understanding, diagnosing, and treating rheumatic disease in children. Dr. Lehman helps pediatricians interpret their patients’ complaints and determine whether and what type of medical attention is needed, explaining what symptoms to look for, what questions to ask, what tests to run, and what to expect when treatment begins. Using illustrative anecdotes, this book sheds light on a wide range of rheumatic disorders–including juvenile arthritis, Lyme disease, lupus, Kawasaki disease, fibromyalgia, and chronic fatigue syndrome–and it addresses such crucial topics as drug safety, genetic considerations, the potential risks to children posed by medications, the difficulty of family life when a child has a chronic disease, and much more. 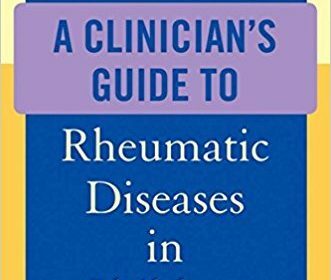 A Clinician’s Guide to Rheumatic Diseases in Children captures the expertise of a dedicated physician with over thirty years of hands-on experience helping children lead normal, happy lives. It will help pediatricians make sure that patients achieve the best possible outcome.